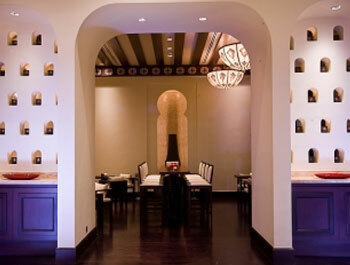 At Moroc Lounge & Bar relax in our Moroccan-inspired oasis. Located beneath the iconic gate Moroc serves light snacks and tapas together with thirst-quenching drinks and premium shisha. 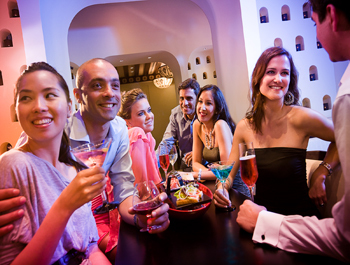 Every Saturday night buy a drinks voucher for AED99 and choose five drinks from a selected list. 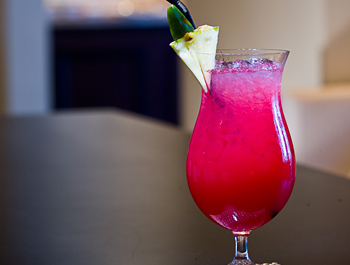 Every day is happy hour between 6pm - 8pm. Remember Tuesday is a special night for the ladies where three complimentary drinks are served between 8pm - 10pm. There’s a daily double happy hour in Moroc, which includes one complimentary glass of bubbly for ladies on arrival and a 50% discount on selected beverages. 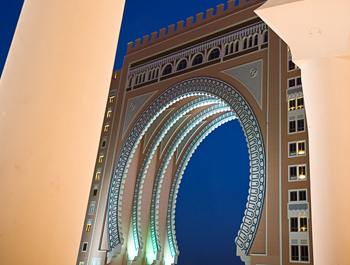 Mövenpick Hotel Ibn Battuta Gate is conveniently situated next to Ibn Battuta Mall and reflects our namesake’s epic 30-year journey across many cultures. Whether you prefer fine dining, buffet-style or relaxed meals, the hotel has someone for everyone. Shanghai Chic, is a modern Chinese restaurant, Sicilia serves fresh Italian fare while Chor Bazaar specialises in Tandoor. 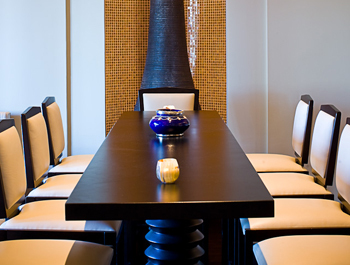 Mistral, our all-day dining restaurant serves local and international meals. Moroc Bar is the outdoor lounge where you can smoke shisha and enjoy good times with friends.